Eleanor Schwager and Lachlan Pickering were jointly awarded the Benning Prize at the annual Valedictory Dinner for their significant contributions, academic achievements and dedication to the College. The Benning Prize was established in memory of Herbert Francis Benning, a Fellow and first Chairman of College Council (1969-1980). It is awarded annually to a student who has been in residence for at least five semesters, has shown consistent academic progress and made significant contribution to College life, particuarly in relation to leadership. “The 2018 awardees have consistently achieved academic distinction while being involved in the sporting, cultural, spiritual and recreational life of the College. Not afraid to stand up for those who feel marginalised or call out behaviour that goes against the College’s values, they are individuals who lead by example, have deep affection for the College and seek to lead a life of service,” said Chair of Council, Dr Bernadette Tobin, during the ceremony. 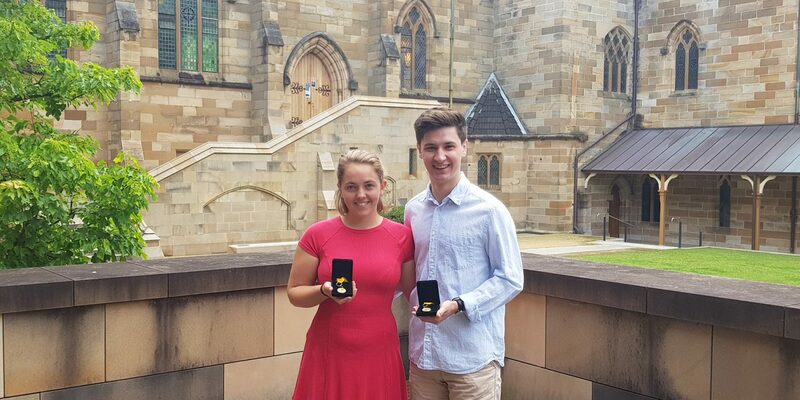 Throughout 2018 Eleanor and Lachlan have served as members of the 2018 House Committee and made many significant contributions to the College. We congratulate them.